Did you attend one of the most popular Halloween events in the city? 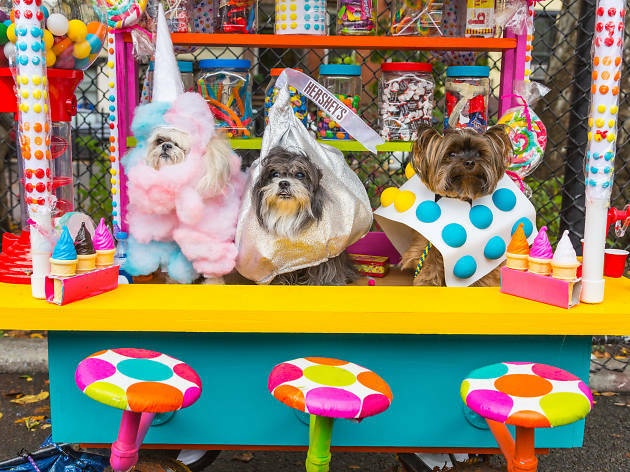 Not even a cold and rainy day in NYC could keep these perfectly costumed pups from strutting their stuff at the Tompkins Square Halloween Dog Parade. 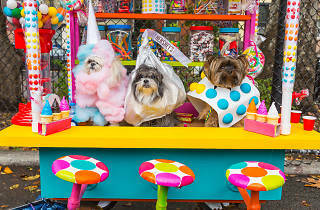 And we’re so glad, because this pooch procession and costume contest is one of the major highlights of our year. There were a lot of creative and incredible getups modeled in the East Village this afternoon (both human and canine), ranging from dogs dressed as Prince, Pikachu, Eleven from Stranger Things and, unsurprisingly, several Donald Trumps. Woof! And, oh my goodness, there were so many punny looks from a bull dog sitting on the Iron Throne from “Game of Bones” to a Pomeranian dressed as a fortune teller giving "pom readings." We were there to capture all the cuteness at this year's event, and we can pretty much guarantee that these photos will brighten your spirits on this dreary day. Enjoy!